This Tokyo itinerary should be perfect for travelers who will be in Tokyo for 7 days. For 3 days, 4 days, 5 days or 6 days trip, just cherry-pick on what you want to do from this 7 day Tokyo itinerary. I was fortunate enough to visit Tokyo 5 times on 5 separate trips, during spring, early summer and autumn. Each season is beautiful but my favorite is spring time. I was totally blown away by the beauty of Tokyo’s cherry blossoms! If your schedule is flexible, I strongly suggest you to visit Japan during cherry blossoms typically between the last week of March up to the first week of April. The cherry blossoms period really takes the beauty of Tokyo to the next level and is highly worthy of the premium “peak season” price tag. For first time visitors to Japan, I have to warn you that Japan is very addictive! You will always find something interesting to do when you return regardless of the season. This Tokyo itinerary is actually a combination of my previous trips. There are countless of things to in Tokyo and it is best to spend a full week to fully appreciate the beauty of the city. I shall be posting a more detailed itinerary per activity in this Tokyo travel blog in my succeeding blog posts. With over 100 different train/subway lines spanning across the 20+ district wards in Tokyo, navigating around the city can be quite overwhelming especially for first timers. But don’t worry! I’m sharing with you some of my Tokyo travel tips on how you can avoid getting lost and how you can maximize your precious vacation time. My #1 tip for you is to rent a Japan pocket wifi. In Japan, free wifi is hard to find and Google Maps can only be accessed when you’re online. Subways and trains in Tokyo are highly sophisticated and you will need real-time train schedule most of the time to get on the right train. During my first trip to Japan, I made a huge mistake of not booking a pocket wifi which led me to get lost in back alleys without street names. I also missed a number of destinations in my itinerary as a result. Since then, I’ve always pre-booked my pocket wifi before arriving in Japan and have never looked back. I’ve personally used Pupuru Pocket Wifi at least 5 times in my past trips in Japan and can highly recommend them for their consistent reliable service and for their blazing fast wifi speed. Learn 5 reasons why you need a pocket wifi in Japan in this blog post. You can check out rates and book your Pupuru pocket wifi here. Get a Suica reloadable transport card and load up for seamless commute. Buying individual train tickets for your everyday commute in Tokyo can a huge time waster. 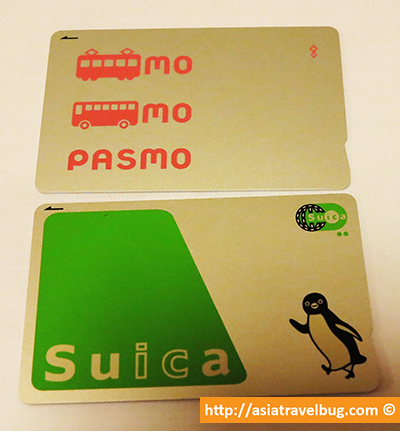 Save time with a Suica card which you can use from subways, trains to buses. You can even use your Suica card to buy groceries from convenience stores. Check if your hotel is located in a strategic location. By picking a highly convenient hotel in prime locations in Tokyo like Shinjuku or Ginza, you will not only save some money from transport expenses but you will save a lot of time! Less commute time means more time to explore the beauty of Japan. 🙂 Check out Asiatravelbug’s Where to Stay in Tokyo Guide to learn the best areas to stay in Tokyo and recommended hotels for tourists. Transferred from Haneda Airport to Shinjuku using Airport Limousine Bus. Checked in at Hotel Sunroute Plaza Shinjuku. This hotel sits on an unbeatable location in Shinjuku with spacious standard rooms for Japanese standards. Hotel Sunroute Plaza Shinjuku is highly recommended by Asiatravelbug. I will definitely stay here again when I return to Tokyo if rooms are available. This hotel is highly popular and it’s common for all of their rooms to get sold out, so book early! Standard twin rooms start at USD 200/night while economy rooms start at USD 150/night. Check out live rates of Hotel Sunroute Plaza Shinjuku in Agoda and Booking.com. Went to Chidorigafuchi and Yasukini Shrine for “hanami” cherry blossom viewing. Had a simple yet unforgettable yakitori dinner under an illuminated cherry blossom tree. For visitors arriving during the non-cherry blossom season, I suggest for you to use this time to purchase a Suica or Pasmo rechargeable transport card and get yourself familiarized with the area within your hotel’s vicinity. You can also use this time to explore the bustling nightlife in Shinjuku or Ginza as an alternative to Chidorigafuchi and Yasukuni Shrine. Purchased Hakone Free Pass from Odakyu Sightseeing Center at Shinjuku Station West Exit. Had a sushi picnic in Shinjuku Gyoen Park under cherry blossom trees. Strolled around Sumida Park overlooking Sumida River and Tokyo Skytree. Walked around charming Tokyo’s old neighborhood Asakusa. Saw locals praying in Sensoji Temple. Shopped for souvenirs and bought Japanese snacks while strolling along Nakamise shopping street. Didn’t try the human powered rickshaws but was able to get some good photo snaps. Went to Ueno Park for cherry blossom viewing and dinner. Even without cherry blossoms, Ueno Park is still worth to see. This park is the biggest and most popular public park in Tokyo. Took a bus from Shinjuku Station to Gotemba Bus Interchange. Saw Mount Fuji several times on the bus while on the way to Gotemba. Went to Gotemba Peace Park aka Heiwa Park and had magnificent views of Mount Fuji and cherry blossoms. Stopped by Gotemba Premium Outlets to see Mount Fuji again. Picked out a random restaurant for lunch near Gora Station which ended up to be a very great choice! Had some mouth-watering tempura. Used Hakone Free Pass for the Hakone Cable Car (tram ride), Hakone Ropeway (cable car) and Lake Ashi pirate ship cruise. Enjoyed eating the creamiest strawberries in Owakudani while overlooking Mount Fuji. Returned to Shinjuku from Odawara Station via regular train. This is a very long 2-hour ride but I enjoyed people watching inside the train during rush hour. My pocket wifi connection helped me kill time. Mount Fuji View Just Outside Heiwa Park in Gotemba – Walking Down the Road is More Fun in Japan! Mt. Fuji Cruising, Yakiniku Lunch and Gotemba Outlets Shopping! – This tour is best for shoppers who would like to combine outlet shopping and Hakone tour in one day. You also get to enjoy a Yakiniku buffet! Weather permitting, you can see Mount Fuji from Moto Hakone Port in Hakone Lake Ashi and right in front of Gotemba Premium Outlets. Book here. Mt. Fuji Tour with Hakone and Lake Ashi Cruise – This is a highly popular classic Mount Fuji day trip from Tokyo combining Mount Fuji 5th Station and Hakone with western style lunch! Weather permitting, you can see Mount Fuji from Mount Fuji 5th Station, Hakone Lake Ashi Cruise and Hakone Ropeway. Unlike other similar tours, what’s great about this particular tour is they allow booking 1 to 2 days prior to the trip allowing you to better forecast the weather. Book here. Explored Tsukiji Fish Market in the morning with free guide service from Travelers & Locals Japan. Saw what a real wasabi vegetable looks like for the first time! Walked to Ginza from Tsukiji and had a fantastic ramen lunch at Ippudo. Practiced the art of doing nothing in the East Gardens of Imperial Palace. Strolled along Marunochi, the prime CBD area in the middle to Tokyo. Marunochi looks like a mini version of New York’s 5th avenue. Went back to Ginza and watched the buildings come glistening at night. Bought green tea kit kats, grean teas and other cheap souvenirs from Don Quijote store located at the edge of Ginza. Headed to the viewing deck of Tokyo Metropolitan Government Building in Shinjuku for free. It was a hazy day so Mount Fuji did not show up. Went to Shibuya to take a picture of Hachiko dog statue and to see the famous Shibuya crossing scramble. Walked towards Harajuku from Shibuya via the “Cat” street. Didn’t see any cats but saw a hamster instead! Breathed-in a lot of fresh air in the massive Meiji Shrine, a forest in the heart of Tokyo. Watched local street performers do some balloon tricks in Yoyogi Park. Shopped for some Japanese snacks to take home from Shinjuku’s Takashimaya store. Met up with Akihabara tour guide and explored the bizarre and geeky side of Tokyo. Surprised to see that robotic dogs are cheaper than real dogs. Went to a maze of 1990s game shops and reminisced childhood memories. Headed to see the Gundam Statue in Odaiba. Saw Mount Fuji by chance while walking along the Odaiba elevated platform. Passed by futuristic buildings which felt like a scene in Jetsons cartoons. Capped off the last full day in Tokyo watching the beautiful Rainbow Bridge come to light. Tokyo Itinerary Day 7: See you again Tokyo! Took the Airport Limousine Bus from Hotel Sunroute Plaza Shinjuku to Haneda Airport. If you have more time, you may want to add Nikko, Mount Takao or Kamakura in your Tokyo itinerary. These places are located a few hours from Tokyo and should be good day trips. Read on the rest of this Tokyo travel blog to learn how much you should budget for your Tokyo trip, where to stay, how to get around and why you need a pocket wifi. Tokyo has always been branded by the media as one of the most expensive cities in the world. It is true that it is not as cheap as other cities in Asia like Bangkok or Manila. During my two trips to Tokyo, I was pleasantly surprised to see that the consumer prices in the city are not expensive as expected. I find the day-to-day expenses in Tokyo to be fairly reasonable with prices similar to Singapore except for public transportation. It is definitely possible to travel in Tokyo comfortably without breaking the bank. We spent around USD 135 per person per day in Tokyo staying in well-located 3.5 star to 4.5 star hotels and eating well. The budget includes staying in a hotel at USD 200/night on twin occupancy, eating out in chain mid-range and local fast food restaurants, a 3-hour paid walking tour in Akihabara, a day trip to see Mount Fuji with Hakone Free Pass and, our pocket wifi rental for the whole stay. There are plenty of free things to do in Tokyo so you do not need to worry about a lot of entrance fees. Here’s the breakdown of our Tokyo budget from our 7 Days Tokyo Itinerary. Is it possible to travel in Tokyo for USD 100 per day? Yes, it is possible. If you stay in a well-located hotel at USD 150/night on double occupancy, you can easily replicate the above itinerary at ~USD 100 per person per day. Agoda actually unloads the less-publicised “economy rooms” of Hotel Sunroute Plaza Shinjuku starting at USD 150/night. These rooms are more compact but cheaper. You can check live rates of the hotel’s economy rooms here. But if your budget is a bit flexible, I do suggest for you you to book the standard twin rooms of Hotel Sunroute Plaza Shinjuku from Booking.com for bigger space. Given that taxis are pretty expensive in Tokyo, it is recommended for visitors to stay in hotels within close walking distance to major train stations in JR Yamanote line. The Yamanote line is a circular train route that covers major districts and sights in Tokyo with stops in Shinjuku, Shibuya, Ginza (Yarakucho), Tokyo Station, Akihabara, and Ueno. For me, the best areas to stay in Tokyo are around Shinjuku, Ginza and Tokyo Station. Tokyo Station is just north of Ginza where regional buses and trains depart. I have personally stayed in 3 different hotels in Tokyo which I wouldn’t hesitate to recommend to family and friends. Hotel Sunroute Plaza Shinjuku in Shinjuku, Park Hotel Tokyo in Shiodome at the edge of Ginza and Hotel Nikko Tokyo in Odaiba. Twin rooms of these hotels average at USD 200 per night. It is important to distinguish twin rooms and double rooms in Tokyo. Double rooms comprise a single double-sized bed, are smaller than twin rooms but can be up to 30% cheaper. Unsure where to stay in Tokyo? Are you traveling to Tokyo with a huge family or travel group? We have done all the research work for you! Learn the best area to stay in Tokyo for first time travelers and family vacationers in Japan. Check out Asiatravelbug’s comprehensive Tokyo neighbourhood and hotel guide and save yourself weeks of travel research. Click here – Where to Stay in Tokyo First Time. For first time Tokyo travelers, I would highly recommend Hotel Sunroute Plaza Shinjuku since Shinjuku is very well connected and highly convenient for day trips. Nearby hotels in West Shinjuku include Keio Plaza Hotel Shinjuku and Century Southern Tower Tokyo with rates starting from USD 250 per night. Other cheaper options in Shinjuku are Citadines chain hotels with rates as low as USD 150 per night. If you do not mind staying in Kabukicho red light district, Citadines Central Shinjuku Hotel (formerly Best Western Astina Shinjuku) is cheap with a great location just under 10 minutes walk away from the main Shinjuku Station. A bit farther to the east of Shinjuku Station is Citadines Shinjuku Hotel but should be a great choice for travelers looking for a room that can fit 3 adults. For people wanting to be in Ginza and near Tokyo Station, Millennium Mitsui Garden Tokyo Hotel Ginza is a very great choice and is highly recommended by Asiatravelbug. This hotel sits right smack in the heart of Ginza nearby shops and reasonably-priced restaurants, with modern rooms and an unbeatable location just on top of Higashi Ginza subway station. Other nearby hotels in Ginza include Mercure Hotel Tokyo Ginza, Hotel Monterey Ginza, Solaria Nishitetsu Ginza and Mitsui Garden Hotel Premier Ginza with rates ranging between USD 150 to USD 250 per night. For families coming to Tokyo with main intention of visiting theme parks, hotels in Odaiba can fit to your liking with plenty of spacious family rooms available. Although Odaiba is a bit far from central Tokyo, the area is within close proximity to theme parks and science museums. Hotel Nikko Tokyo and Grand Pacific Le Daiba are strategically located in Odaiba with direct access to monorail and have free shuttles going to Tokyo Disneyland. Depending on the season, you can get spacious non-weekend rooms in these 4-5 star hotels for USD 200/night or less. I find the day-to-day meal prices in Tokyo to be fairly reasonable and eating out is not as expensive as you think! Our USD 30 per person per day food budget proved to be quite enough with us alternating between mid-range restaurants and local fast food. You can find good beef rice bowls for USD 4 in Matsuya (local fast food), katsudon lunch sets for USD 7 in Hamakatsu (mid-range) and a really good ramen bowl in Ippudo (mid-range) for USD 8. Add approximately 20%-30% for dinners from lunch prices except for fast food. These restaurants have great food, fantastic service and are frequented by local salarymen. Plus there are no tips and no service charge! Hamakatsu Lunch Special – 2 Pcs. Tonkatsu, Unlimited Rice, Veggie and Soup for only USD 7. For breakfast, you can get your daily breakfast fix from Family Mart for USD 5 or McDonalds for USD 6. For snacks, you can actually get a chicken burger from McDonalds for an unbelievable price of 100 yen (~USD 1)! Street foods like a plate of yakisoba, 3 pieces of yakitori, 6 pieces of takoyaki balls, or 5 pieces of chicken karaage will cost you around USD 5 per order. If you plan to go out on a picnic, you can buy fresh sashimi and sushi trays from Family Marts near the park. A tray of 8 pieces of fresh sashimi costs USD 6 while a reusable blue picnic mat costs USD 3. While it is true that a 15-minute taxi ride in Tokyo can cost you close to USD 30, central Tokyo is actually well covered by trains and subways. You will be surprised to know that I did not take a single taxi ride in my two trips in Tokyo. As long as you don’t have any mobility issues and your hotel is located close to a train station, you will hardly find a need to take a taxi. Train fare starts at 170 yen (~USD 1.50) per ride per train line and the fare gradually increases depending how far your destination is. Check out Hyperdia for train fares and schedules. Flag down of taxi starts at 710 yen (~USD 7). Do I need to get the JR Pass? Whether you need a JR Pass or not ultimately depends on your itinerary in Japan. Tokyo only – If you will be staying in Tokyo only, you don’t need a JR Pass. I recommend that you get a reloadable Suica or Pasmo card instead. I only spent a total of USD 55 in airport bus transfers, train and subway fares for a week in Tokyo. This is definitely cheaper than the 7-day JR Pass which costs about USD 250 / person. Suica and Pasmo cards in Tokyo are similar to the Octopus cards in Hong Kong which can be used in subways, trains, convenience stores or even taxis. Suica cards can be purchased in JR train ticket stations and Pasmo cards in subway stations. Deposit of 500 yen (~USD 5) per card is required. These two cards function similarly and can be used interchangeably between subways, trains and monorails. So you just need to take your pick on which card to purchase. Round trip bullet train between Tokyo to Kyoto and/or Osaka + Round trip NEX train airport transfer between Tokyo and Narita Airport, all completed within 7 days – Yes, I recommend a 7-day JR Pass in this case. You’ll save at least USD 30 / person and you get to use Tokyo’s JR Yamanote line for free! You can purchase your JR Pass online here. One-way bullet train between Tokyo to Kyoto / Osaka – You don’t need a JR pass if you’ll be arriving in Tokyo and departing at Kansai Airport or vice versa, with only Tokyo, Kyoto, Osaka and Nara in your itinerary. By buying just a one-way bullet train ticket, you automatically save at least USD 100 / person instead of getting the 7-day JR Pass. 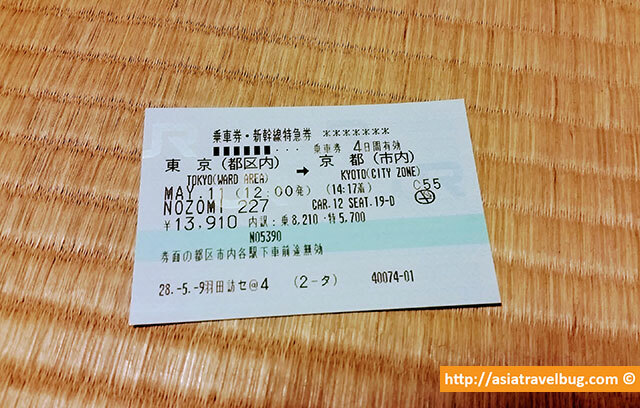 You can purchase the one-way bullet train ticket at any JR ticket station once you arrive in Japan. However, for first timers, you may want to book your ticket from an online travel concierge like Voyagin to melt all your worries away! They will be happy to purchase the ticket for you and ship it to your hotel, book your seat reservation ahead and provide answers to all bullet train questions you might have. You can buy your one-way bullet train ticket from Tokyo to Kyoto here, and from Tokyo to Osaka here. A few days prior to my Tokyo trip, I was preparing the travel apps on my phone when I realized that Google doesn’t allow offline maps in Japan. My trip involves a do-it-your-self day trip to see Mount Fuji and will need access to Google Maps to navigate my way in case I get lost. I was left with no choice but to book a Japan pocket wifi rental online. Having been to Japan before, I can say that it is fairly easy to get lost in Japan as smaller streets do not have street signs and navigating major train stations can get very complicated. What is more surprising is that free wifi is not widely available even in Tokyo unless you intentionally go inside a major train station or drop by 7-11 to find a wifi hotspot. Renting a pocket wifi in Japan is definitely one of the best travel decisions I have made. I was able to access Google Maps, check train schedules and look up for nearby restaurants while I’m on the go. I got more efficient. Most importantly, my pocket wifi afforded me a great peace of mind knowing that I have a functioning Google Maps on my phone to save me in case I get lost! The rental price isn’t bad either at USD 70 for a week of unlimited wifi, sharable up to 10 users in your traveling group. 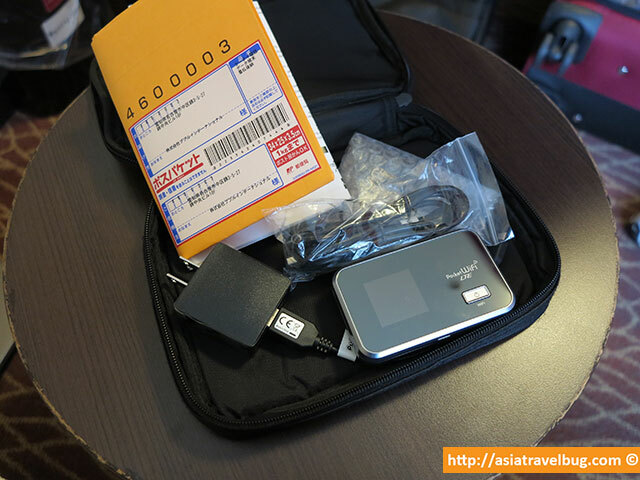 Renting a pocket wifi in Japan is highly recommended by Asiatravelbug. Make sure to book one online before you go! Asiatravelbug suggests that you book with Agoda for best prices. If you think that I missed out on other interesting things to in Tokyo in this Tokyo itinerary, please feel free to add using the comments section of this Tokyo blog. There is so much useful information in this post, thank you! I just came back from a trip to Japan, and my Suica was definitely the best investment I made. I saved so much time when taking trains and metro’s, but I was also happy to see you can use it at basically any convenience store! Thanks for the useful information! I’m very happy to know that you found the Suica card to be extremely helpful in your Japan trip. Yes, I agree with you that it’s a huge timesaver and it’s highly convenient to use even at konbini stores without the need to use cash. I’m sure you will be back to Japan. Cheers! Thank you so much for your web site. I am planning my trip and will use this as my guide. Those wi-fi eggs are awesome. I used them in Korea and Taiwan and can’t live without them when traveling. I’ve always wanted to visit Tokyo and will finally have my chance later this year. In Japan, I highly recommend Pupuru pocket wifi. Not only do they provide highly reliable pocket wifi devices, but they provide excellent service based on my personal experience in my past 5 Japan trips. The pocket wifis in Japan are pretty advanced too, maybe similar to how it is in South Korea, and are like 5 years ahead in terms of speed and battery life compared to the pocket wifi I used in Europe a few weeks back. What is a WiFi egg and where do I get one? A Wifi egg is a portable wifi device that allows you to connect to the internet to while on the go. Renting one comes highly recommended in Japan due to its highly complex transport network so you ensure you get on the right subway or train in a very “precise” manner. Subways and trains are so complex in Japan to the point that even on the same platform, the trains may go to different direction or skip some stations. I once rode a subway a few minutes earlier than what’s recommended on Google maps, and ended up a few stations away from my target destination since it skipped my intended station. I’ve just returned from a recent trip last week and used Pupuru pocket wifi for the 6th time as my preferred wifi egg. I strongly recommend Pupuru for their consistent service and highly reliable pocket wifi. You can check out my Pupuru review here. Should you decide to rent one, you can do purchase from Pupuru’s website. Hope this helps and wishing you a safe trip to Japan! Thank you so much for making this blog. It has definitely made my planning a lot easier. My friend and I are going to Japan May 15-22 for my graduation. I don’t think it’s enough of time, but can’t complain though! I have a question for you though, Have you been to a sumo wrestling match before? If so, do you recommend buying a tour beforehand or going to Ryogoku early in the am to buy tickets? P.S. it’s too late to buy normal tickets online, so the only way to go see the sumo wrestling is through a tour. I’ve never been to a sumo wrestling match before so I’m so sorry if I cannot provide you with more details. But what you said looks very interesting and I might try it in the future. I’m excited to hear how it goes if ever your visit to a sumo wrestling match pushes through in the next few weeks. In case you wish to purchase tickets in advance, you may wish to consider getting services from Voyagin. They are a local Tokyo travel company that can buy Tokyo sumo tournament tickets on your behalf. I’ve used them for a different travel service before in Tokyo and had a great time. Hope this helps and have a safe trip Tammi! Read your blog and found them to be very useful, I’ll make sure to do some of them. I have a question though in case you know the answer. I am planning to use my ATM card with 6 digits passcode but I heard that convenience stores have only 4 digits passcode, is this true? I actually asked the Citibank CR here in HK, he doesnt’ have a clue but asked his colleague who has been to Japan and said that he was able to use it. Just in case you haven’t heard, Sumitomo Bank (SMB) bought Citibank and what I read from different sites, they accept Citibank ATM’s but again my issue is the number of passcodes. I have previously tried withdrawing from ATM from the airport and did not encounter any passcode digit limitation. However, I apologize if I’m unable to answer your question since its bank specific. Hi Tiffy! Thanks so much for all the advice! I’m a fresh grad planning her solo grad trip to Japan and while I’m aiming for the last week of November this year, I don’t mind postponing. The main thing for me is that I want to be in Japan during Autumn season and be able to enjoy both the red leaves and cool weather. The time I want to stay in Japan is 5 days, 4 nights, flying back home on day 5. Could you give me some advice on which attractions are available in Tokyo, and whether there is enough time to take a short trip within these 5 days to visit other nearby prefectures? I love nature, so I definitely want to visit Nara Park, but I’m not sure if I can fit that in. I’ll be primarily staying in capsule hotels/dorms, so cost of stay shouldn’t be too big an issue. Thanks so much! You are very welcome! Tokyo for 5 days is just about fine for an quick autumn trip. You can perhaps have a 1 day trip to nearby Hakone or Lake Kawaguchiko to see Mount Fuji. Nara is out of the way when you’re in Tokyo. To get there, you have to be in either Kyoto or Osaka. I suggest that you reserve your visit to Nara in your future trip if you’ll be arriving in Osaka instead of Tokyo. Although not as scenic as the ones in Kyoto, Tokyo has good autumn colors too. I enjoyed my autumn stroll last year at Meiji Jingu Gaien and Hibiya Park. Beyond these two areas, there are a number of autumn sights in Tokyo – you just need to take your pick depending on your schedule. I suggest you to check accommodation availability before booking your flight for your last minute Tokyo getaway. Hi Tiffy, Thanks for such detailed Japan travel guide. Impressive. I just need another favor. Planning a 5 days trip to Tokyo. Please advise if going to Osaka Universal Studio is good. Or I should just visit Tokyo’s attraction. I am planning to stay at Hotel Sakura Hatagaya as it is among the hotels that serve halal food. Appreciate for your kind reply. Squeezing in Osaka in your 5 day Tokyo itinerary is technically doable given that these two areas are just 3 hour bullet train away from each other. However, it is not practical and not recommended. With this, it maybe more practical to combine Tokyo and Mount Fuji for a 5 day trip. You can save Osaka USJ for your next trip and combine it to enjoy the beauty of Kyoto. I would like to know what are the best months to travel to Japan? We are planning a trip to Japan in 2018, and I would like to know what months are the best to visit. I’m concern about the weather, the high season prices, and hotel availability. The best months to be in Japan are during cherry blossoms (usually 1st week of April) and autumn (usually last 2 weeks of November). Prices are really high during cherry blossoms period across Japan and in Osaka/Kyoto during autumn period. If you are on a budget and still want to see beautiful colors, try to visit Tokyo at the tail end of autumn which is during the last week of November. During this time, the accommodation rates in Tokyo are very reasonable (often cost half than that in Osaka/Kyoto) but you will still have to chance to see some autumn colors. Also, you will have better chances of seeing Mount Fuji at this time of the year. May is also a very good time to be in Japan particularly starting mid-May after Japan’s Golden week. Days are long, the aircon-like weather is very pleasant and accommodation rates are not as expensive as peak season travel. 1) Should we purchase a 7 day Rail pass or fly ? 2) If we purchase a 7 day rail pass can we use it on the Tokyo subway plus get to Narite Airport when we leave ? Thanks for leaving a message. I’m happy to hear that you and your wife that you’ll be touring around Japan next year. Late March towards early April is a wonderful time to be in Japan to see the beautiful cherry blossoms! 1) It’s way better to travel via shinkansen bullet train from Osaka to Tokyo since you will eliminate the need to get to the airport and wait for your flight. Taking a bullet train in Japan is fairly easy. Just buy your ticket and your reserved seat at the JR Ticket Station. And be at the designated shinkansen bullet train platform 15-30 minutes prior to your scheduled train ride. Osaka to Tokyo via shinkansen bullet train is just about 2.5 hours. The bullet train station in Osaka is located in Shin-Osaka Station. c. Local train/subway in Tokyo – ~JPY 3,000 for 3 days (get the rechargeable Suica card for convenience). The cost of local train/subway within Tokyo is almost negligible if you compare it to cost of regional travel or the JR pass. If you plan well, local train/subway rides within Tokyo will only cost about JPY 1,000 per day. d. Approximate total cost for above is just JPY 20,500. Meaning you will save JPY 8,500 per person or JPY 17,000 for two by not getting the JR pass. I suggest that you use this money for short taxi rides instead to make yourselves more comfortable (like getting to Shin-Osaka Station if you have luggage with you). Thanks David for your kind words. I’m ecstatic to know that my blog has enabled you to travel better in Japan! Cheers to more travel in Japan beyond Tokyo and Osaka in the future! I am from Jakarta planning a trip to Tokyo Osaka and Kyoto with my husband and 22 year daughter on 14 – 22 September, fly in to Haneda on 15th morning and fly out from Narita on 22nd afternoon. The must see places are Mount Fuji, Disneysea and Universal Studio. Could you please suggest how to plan our itinerary? Hi Remmy! Thanks for leaving a message. An 8 day trip sounds right for your Tokyo, Osaka and Kyoto travel plan. I would suggest that you base your self for 4 nights in Tokyo and 3 nights in Osaka. 1. 3 nights Tokyo – Pick up the places you want to visit from my Tokyo itinerary. To get to see Mount Fuji, check out my Mt. Fuji Guide. 2. 2 to 3 nights Osaka – If you plan to visit Osaka only, 2 nights will be sufficient. If you plan to visit Kyoto or Nara, stay in Kansai for at least 3 nights. 3. 1 to 2 nights Tokyo – Continue your Tokyo plans and do last minute shopping. 1. Ginza, Tokyo – I’ve personally stayed at Millennium Mitsui Garden Ginza (4.5 Star) and Tokyu Stay Ginza (3.5 Star) and can highly recommend them both. Hope this helps plan you trip! Hi, we are planning to visit Japan May 14- May 19. Arrive Haneda airport 430pm. Initial plan would like to go Tokyo, Osaka & Kyoto. Debating whether should stay in Osaka or Kyoto 1-2 days and whether should go straight from airport(arrive late afternoon) to either Osaka or Kyoto hotel. How many hours to travel fr airport to Osaka/Kyoto? or Tokyo to Osaka/Kyoto? Or may be stay in Tokyo, take day trip to Osaka/Kyoto? The hotels you recommended seemed to be over booked with no availability. Thinking about Ginza area, please advise how to find hotel like close to train station. We have 3 people traveling, I guess we have to book 2 double bed, am I right? My advise is to stay at least overnight in Tokyo rather than going straight to Osaka/Kyoto, otherwise your journey will be tiring especially if coming from a long flight. The bullet train station isn’t in Haneda but rather in Tokyo Station. To get to Tokyo Station, you have to take the airport limousine bus from Haneda Airport for about 30-45 minutes. Between Osaka or Kyoto, just choose one to base yourself. You can easily do day trips since Osaka and Kyoto are just 1-hour train ride away from each other. Base in Osaka if you love food and nightlife. Base in Kyoto if you love culture and nature. To make your trip to Kansai region meaningful, at the minimum you should stay either in Kyoto or Osaka for at least 2 to 3 nights. Most of the rooms in Japan cater to occupancy for 2 adults. Triple occupancy is rather limited. Rooms with 2 double beds are rare in Japan. For three people, I recommend that you book a triple occupancy room which typically provides additional single bed for the third person. Another reason why you find your choices to be limited on your travel dates is that you’re booking less than a month away from your travel. Ideally, I recommend tourists to book at least 2 months in advance. Anyway, here are my suggested hotels which offer triple occupancy. Hi Tiffy! Thanks so much for your post and tips. Def helped me alot. I’m thinking of staying max 2 days in the city, Shinjuku in Tokyo, taking up your recommendation! I have total 6 days in Tokyo and intend to spend 4 days at both Hakone and Fuji 5 Lake. Too many? Are Hakone and Fuji Five Lakes very far apart? Is it better to head to Hakone or Fuji 5 Lakes first? Should I head straight to the other one or head back to Tokyo first? Please advice on the transportation from Hakone to Fuji 5 Lakes or vice versa, thanks! You may want to check out the 3 Day Fuji Hakone Pass which costs JPY 8000 round trip from Shinjuku. Here is the sample itinerary from Odakyu for the Fuji Hakone Pass. Given the duration limitations of this pass, I think 3 days will be enough to explore Kawaguchiko and Hakone areas. Yes, Fuji Five Lakes and Hakone are quite far apart and it will take at least 2.5 hours with a non direct transportation. From Kawaguchiko, you need to take bus to Gotemba Premium Outlets and take another bus to Gora Station in Hakone. This should be ok for millennials but could be tiring if you are with parents or with seniors. Here’s my suggestion. If you have seniors with you, I suggest to pick either Hakone or Kawaguchiko. If there are no seniors, you may consider the 3 Day Fuji Hakone Pass without the need to head back to Tokyo in between Hakone and Kawaguchiko. Also, just bring a backpack or small carry on luggage for 2-day clothing needs. Check with your Tokyo hotel if they can store your main luggage for you. Kawaguchiko and Hakone are great areas to stay in ryokans (Japanese style inns) which I highly recommend for a deeper Japanese cultural experience. Here’s where I stayed before. Kawaguchiko: Shuhokaku Kogetsu – All rooms have perfect view of Mount Fuji on a clear day. Great service. Hakone: Ichinoyu Honkan Ryokan – 400-year old ryokan with great dinner. Rooms face a rushing river. Great for those who feel adventurous and are a bit on a budget. Thank you for sharing the great news! This will definitely help the other readers as well. I just tried plugging in a sample route between Tokyo Station and Ginza in taxifarefinder.com and see that the fares are about 20% cheaper than before. Fantastic! Cheers to more affordable cab rides in Tokyo! No problems Syahril! I’m happy to have helped. I’m sure you will enjoy Tokyo as much as I did. Have a safe flight and trip! 1. Arrival at Haneda almost midnite.. Monorail/train may be not available after midnite. What will be the best option to reach Hamamatsucho. 2. Mobile Wifi will be provided for free by the Hotel. Is it ok to fully rely on this or I need to rent another pocket wifi suggested by you as a backup. Thanks for your kind words. Please see my feedback below. 1. Since you’re arriving Haneda at midnight. The best way to get to Hamamatsucho is via taxi. It will cost between JPY 7000 to JPY 8000 as per taxiautofare.com. Hope this helps and have a safe trip to Tokyo! Ur blog is sucha blessing and so informative. Planning a Japan trip is getting overwhelming and im glad to have stumbled upon such precious info. Wanted to do a day trip to Nara, should we go from Kyoto or Osaka? Main concern is transportation. Coming from Hawaii where the the bus system is simple and always on “Hawaiian time”, I am so very confused about the trains and subways. I was told the JR pass is the most cost efficient means of transportation. JR 7d pass vs 14d pass? After reading ur blog I also am aware of the suica card. Please give your recs on the most cost effective means of transportation. Also my mom has back problems. If purchasing the JR pass, would the “green car” seats be way more comfy vs the “ordinary”? There is quite a significant price difference, but comfort and time are of value for us. If you have any other recommendations for Mahalo in advance 🙂 I look forward to hearing from you soon! Aloha Lauren! Thanks for your lovely message. Please find my answers to your questions below. 1) The value of the 7 day JR pass is more or less the same as (a) a round trip NEX train fare between Tokyo and Narita, plus (b) a round trip Shinkansen train fare between Tokyo and Osaka/Kyoto. All of which have to be consumed within 7 days. So this pass is a great fit for those who will arrive in Narita Airport and go to Tokyo, Kyoto and Osaka on a round trip basis within 7 days. 2) In your case, since the gap of your round trip between Tokyo and Osaka is 9 days, the 7 day JR pass won’t be value for money since you can only use one leg of the shinkansen trip from Tokyo to Kyoto/Osaka. The 14 day JR pass is more expensive than individual shinaknsen roundtrip ticket between Tokyo and Osaka/Kyoto. 3) For commuting within each city, you will need to use different train lines owned by different companies to get from point A to B and not just the government owned JR lines. Yes, the Suica card is the best way to get around within each city in Tokyo, Osaka and Kyoto. You can get this from Haneda Airport. The local train fares are very minimal compared to shinkansen fares. When I stay in just one city, let’s say Tokyo, I only spend about JPY 1000 (~USD 10) more or less per day per person. 4) I recommend that you get shinkansen bullet tickets separately which I did myself before. Once you arrive at Haneda Airport, you can purchase individual shinkansen tickets in advance and book your seats ahead from the JR ticket office. 5) To get to Hakone, it will be more convenient to take the romance car train or bus from Shinjuku rather than take the shinkansen from Tokyo Station. Or better yet, you may opt for Hakone Free Pass if you plan to do some sightseeing in Hakone. 7) Nara is a little bit closer to Osaka than Kyoto, but I think the time difference doesn’t really matter as it’s very minimal. Just take the Kintentsu line from either Kyoto Station or Osaka-Namba Station to get to Nara. 8) Other tips: To avoid getting lost, I recommend you to get Pupuru pocket wifi so you can access Google maps and Hyperdia on the go. Hakone is a bit mountainous so I recommend the Au pocket wifi (unlimited plan) from Pupuru. Hope my answers help. I’m sure you and your mother will enjoy Japan! Thanks for your tips and advice. Will take note all of it. Just want to ask a few question. -Which part of Tokyo would you recommend if I would like to find various choices of food with reasonable prices? -Is there any activities to do at Fuji 5 lakes? And what would your recommendations of transportation to get there? Thanks for your message. Please find my answers below. 1) For more affordable restaurants and eateries, I recommend Shinjuku or Shibuya. 2) I’ve been to Lake Kawaguchiko in Fuji 5 lakes. Although there are less things to do Lake Kawaguchiko vs Hakone, I actually enjoyed Lake Kawaguchiko more because of (a) Better chances of seeing Mount Fuji, (b) better view of Mount Fuji on a cloudless day and (c) more relaxed travel pace since there are less activities. 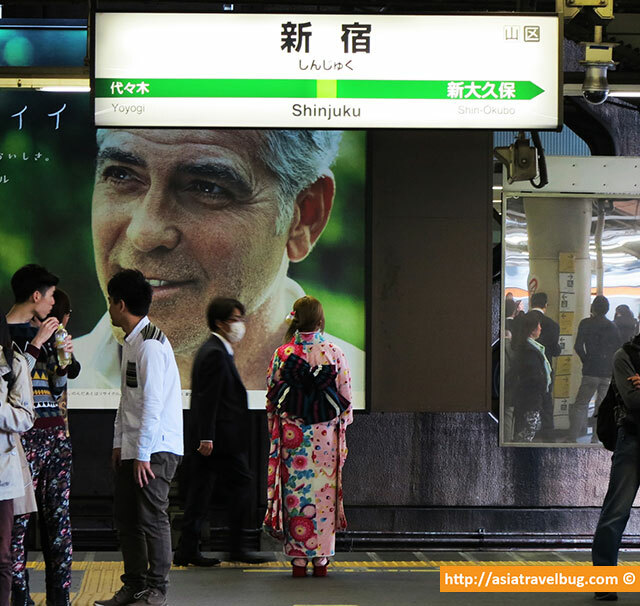 3) Buses are available from Tokyo Station / Shinjuku Station that heads to Kawaguchiko Station. I understand that there is a train route from Shinjuku but it involves some train transfers. 4) In Kawaguchiko, you can buy the retro bus pass to get around. However, the buses can get crowded at times. Here are sample itineraries. I particularly enjoyed the Kachi Kachi Ropeway and Kawaguchi Cruise as it offers great view of Mount Fuji on a clear day. 5) Alternatively, if you want hassle free travel and want to see more sights in a day, you can always consider 1-day bus tours to Mt. Fuji departing from Shinjuku. Hope this helps Mr T! I’m from Kuwait and Japan is my dream land and I’m planning to visit it as soon as i can , i adore everything belongs to this country. Thank you so much for sharing with us these wonderful experiments, saving our time for researches. My mother once told me that I spend more time in travel planning than my actual vacation in Japan. Anyhow, I’m so happy that my blog has helped and saved you a lot of time from trip research. I will arrive at 10:05pm at Haneda. Do you know if the Airport Limosuine is available to take me to my hotel; Hotel Sunroute Shinjuku? Or does the hotel offer pickup services? The last bus from Haneda International Airport for Hotel Sunroute Plaza Shinjuku departs at 10:40pm. If you’re landing at 10:05pm, there is a risk that you might not make it to the 10:40pm bus. But don’t worry, there is a more frequent bus to Shinjuku Station West Exit which runs until 2:20am. Check out the schedule here. I’ve taken the bus to Shinjuku Station West Exit myself before and it’s an easy less than 5 minute walk to Hotel Sunroute Plaza Shinjuku. Hotels in central Tokyo typically do not offer complimentary pick up services since cost of private transfer is high. Hope this helps and have a safe flight! You’re welcome Nabila. Happy to have helped! We r going to japan on 30may-7jun for the first time and since i bring along my 4.5yo boy, i decided just to explore Tokyo via Haneda airport. What do you think about that rough ittinerary? Please suggest if you think need a correction.. and did i miss something important to visit?? And for this kind of trip i just need a Suica card, right? How about food for kids, do you have any recommendation? And lastly, thank youuu.. im waiting for your reply. Love, daisy. Thanks for your message and I’m happy to see that you chose to arrive in Haneda instead of Narita. Haneda Airport will definitely save you a lot of time, money and effort! Your rough itinerary looks good more or less and you’ve got major tourist sites covered, but here’s my feedback. 31may : Check In and explore Shinjuku. If on cloudless day, walk from Keio Plaza Hotel to Tokyo Metropolitan Government Building Observatory to get glimpse of Mt Fuji. Shinjuku Gyoen Park is ok but but it closes early at 4-4:30pm. It can also be a bit of walk from Keio. So I recommend you to go to Shinjuku Gyoen Park on this day only if you’re not jet lagged. 01jun : Combine Ueno, Asakusa and Tokyo Skytree since these are near each other in northern part of Tokyo. Actually, Akihabara is near too but 4 sights in 1 day can be too much especially if traveling with a child. Also, Akihabara is best fit for adults rather than small children in my opinion. If you really want to go to Akihabara, this can be done in another day. Yes, Suica card is sufficient for your itinerary. Fast food type of restaurants like Yoshinoya mostly have bar type of seats. For kid friendly eateries with normal seating, I suggest mid-range restaurants. Restaurants can get packed so I suggest to get there as early as possible like 11am for lunch and 6pm for dinner. Hope this helps. Happy travel planning! Hi Tiffy, I will be going to Tokyo for the first time and my flight will land at Haneda Airport at 6am in the morning. It seems that the the first limousine bus leaves Haneda Airport at 11.20 am . Is there any other cheaper alternative transport that will bring me to Hotel Sunroute Plaza Shinjuku? Many thanks for all of the information you have put up on your site; I’ve found it all extremely informative! I will travel to Japan in July this year, and will definitely be using the tips and notes you have written about. Thanks Rob. I’m so happy to have helped! i m planning to travel in march 26- April 1st for 1 week with my husband and 2 kids aged 5 and 8.
and i would like to visit mt fuji too please advise on the itinerary and regarding jpass i m not sure which one i need 3 day or 7 day? I’m so excited for your first trip to Tokyo. Actually, the period you mentioned is start of the lovely cherry blossom spring season in Japan. So, I’m not sure whether you will still be able to see snow in Nagano during your travel period. I would suggest that you focus your efforts in visiting parks with cherry blossoms rather than searching for snow at this time of the year. I’ve not been to Nagano yet. However, since the shinkansen bullet train cost between Tokyo and Nagano will be JPY 8,000 per way, I do not suggest you to get the 7-Day JR Pass which will costs about JPY 29,000. It looks like the JR East Nagano Niigata Pass maybe a better option for you costing only JPY 17,000 if purchased outside Japan. In case you would like to have a day trip to Mount Fuji, I suggest that you plan your day trip according to the weather forecast. Please feel free to check out my How to See Mount Fuji blog post. I just got back from Lake Kawaguchiko a few weeks ago and had a great time. I was able to see Mount Fuji and getting to Lake Kawaguchi is easier than getting into Hakone from Tokyo Station. Just take a bus either from Shinjuku or Tokyo Station. Hope this helps and happy travel planning! Thank you so much for sharing your blog. It is very helpful and full of information. But I would like to ask for your best advise and suggestion with my Tokyo trip below. I already booked a Tokyo trip for my family (2A/3Teenager) and am really struggling to come up with ideal itinerary being a first timer as well going to Tokyo. Will be staying in BnB near Higashi-Shinjuku station. – Buy Suica card in the airport? your suggestion how much load to purchase ? – Buy ticket for Limousine bus to transfer to city? March 13 – Tokyo (Shibuya,Akihabara) am open to your suggestion. March 15 – Fuji Q- Highland ? do you think this is worth the trip? Thank you for your kind words. Please see my comments below. 1. Yes, you can buy Suica card from Haneda airport. There are ticket machines right after the arrival lobby. In case you’re unable to find it, you can always ask for help or instructions from the tourist center located at the arrival lobby. 2. Yes, you can buy the Airport Limousine Bus tickets for transfer to Shinjuku Station from Haneda Airport. The Airport Limousine bus ticketing area is likewise located in the arrival hall. Take the elevator to go downstairs for the bus bay. 3. Suggest that you group the nearby areas such as Shibuya (Hachiko, Shibuya Scramble, Ometosando), Yoyogi (Meiji Jingu Park) and Shinjuku. 4. For visit to Mt Fuji and Fuji Q Highland, I think it will be more efficient to have an overnight stay in Lake Kawaguchi area or take a one day tour that covers both Lake Kawaguchiko and Fuji Q Highland. The round trip transit between Tokyo and Mount Fuji area will already be at least 4 hours without traffic. I’ve seen Fuji Q Highland from a distance and it has a beautiful backdrop of Mount Fuji on a clear day, though I cannot comment about the rides. Recommended ryokan hotel in Lake Kawaguchiko: Shuhokaku Kogetsu (upper mid range) or New Century Fuji Kawaguchiko (budget-mid range). For a total Japanese ryokan experience, get the full board package with dinner and breakfast. I’ve personally stayed at Shuhokaku Kogetsu and can recommend it. This ryokan hotel provides perfect symmetrical view of Mount Fuji right from your room window given a clear day. The views from New Century aren’t that bad either as 3/4 of Mount Fuji can seen right across the hotel (again, on a clear day). Recommended Mount Fuji day trip covering Lake Kawaguchi and Fuji Q Highland: 1-Day Bus Tour to Mt. Fuji and Meet Ninja from Tokyo. I strongly suggest that you check out the weather forecast before booking. 5. For another day in Tokyo, I suggest you to visit Asakusa, Ueno and Akihabara areas which are just a few train stops from each other. Then you can probably spend the afternoon or night time at Ginza. Have a safe winter trip! I plan on traveling to Japan for 7 days during winter break/new years. I will be going with a couple friends. We arrive in Tokyo and are planning things from there. I think we want to travel to Kyoto for 2-3 days. If we do that, do you think the JR Rail pass is worth the cost? Also, any specific things you suggest seeing during the winter season? For simplification purposes, the 7 Day JR Pass will break even if you will take the train rides below, at the minimum, in a span of 7 days. I’ve been to Japan for spring, early summer and autumn but I’ve never been to Japan for winter yet. But from what I heard, night winter illuminations within Tokyo are beautiful. Just google it up. Also, you may want to stay in a ryokan in Hakone as pitstop between Tokyo and Kyoto. Dipping in a hot spring onsen should feel really good during winter time. I stayed at Ichinoyu Honkan in Hakone before on my way between Kyoto and Tokyo. It’s one of the affordable ryokans in Hakone and some rooms have private onsen bath. Dinner there is great too. I would recommend this for adventurous friends wishing to have a Japanese ryokan experience without breaking the bank. Once you’re back from your vacation and if you have time, I would love to hear about your winter experience! Wishing you a wonderful Japan winter vacation! Hi there! I saw that you took bus from Shinjuku to Gotemba bus interchange and was at the premium outlets before u started making your way to hakone. May I ask if your purchased your hakone free pass at odawara station and if so, how did you travel from the premium outlets to odawara station? I purchased the Hakone Free Pass from Shinjuku Station and made an add-on for the bus from Shinjuku to Gotemba Bus Interchange. The add-on fare for this bus is a little less than JPY 1000. I purchased the bus ticket at Shinjuku Station too at the same time when I purchased the Hakone Free Pass. I am planning to go to Japan next September and we would like to visit Toyko, Kyoto and Osaka for around 2 weeks including some side trips to Nikko and Ise-Shima. Should I use JR Pass go straight from Norita airport to visit Kyoto and Osaka first then on the day 7 go to Toyko so I can make most out of my JR Pass? I am still researching for my visit but want to know where to start. Thank you in advance for your help. I understand from your message that you’re wishing to purchase a 7 day JR pass within your 2 week trip. The 7 day JR pass will break even if you use it for below commutes at the minimum. You have to depart from Tokyo to get to Nikko and from Kansai/Nagoya to get to Ise-Shima. 7 days is just about right to visit the Golden Route – Tokyo, Kyoto and Osaka. I’m afraid that cramming in Nikko and Ise-Shima within that 7 day time frame will make you spend more time on the train rather than enable you to enjoy the beauty of Japan. You may wish to identify all destinations which you plan to go to Japan and see if the 2 Week JR Pass will be value for money. We are leaving in the last week of October for 2 weeks until mid November so we are there for Halloween. We have an Itinerary planned, a rough one. I’ve seen your 7 day Itenary, do you have any 2 week ones? If you want an introduction to Japan, you can always combine my Tokyo itinerary with my Kansai itinerary (Osaka, Kyoto, Nara) to make a 2 week itinerary. I would imagine it something like this. Hi there! We are planning on going to Tokyo Disneyland/Disney Sea on Nov 1-3 and stay in the Hilton Tokyo Bay. We will be staying in Tokyo until Nov 7. Should we stay in the same hotel the entire trip? We are planning to visit Odaiba, Ueno, and Ginza. Thanks for your help! Though staying in the same hotel requires less hassle, personally, I would transfer to hotels in Tokyo Downtown if I were in your place even if it means I would need to allocate half day for the transfer. Based on your target areas, I would recommend you to stay in Ginza. From Ginza, you can easily access Tokyo Station, Akihabara, Asakusa, Ueno and Odaiba. Also, shopping in Ginza is also great with plenty of mid range shopping (like H&M, GU, Uniqlo) in Chuo dori. Hi Tiffy! I was wondering if purchasing a one-way ticket on the Shinkansen from Tokyo to Kyoto can be done a day or two in advance? Appreciate the help! Yes, you can purchase and reserve your seat a few days in advance if you’re purchasing a one-way Shinkansen ticket from Tokyo to Kyoto. Or better yet, you can make the purchase and reservation in advance at the JR ticket station in the airport where you will arrive. Thanks for your kind words. If you are planning to use JR Pass to travel around Japan, you should pre-purchase this outside of Japan prior to your arrival. For day tours from Tokyo, online travel agents typically require 1 week in advance booking. However, there are other certain tour companies which offer Mount Fuji day trips with at least one day advance booking. I plan to visit japan by 1st December – 9th December 2016. Do i still able to see beautiful maple view? I quite concern whether early December is consider winter or autumn in japan..
My rough plan is arrive Osaka , stay in Osaka for 2 days , Kyoto 3 days then go to Tokyo then go b Osaka .Any suggestion ? Do i need to stay in Osaka for 2 days ? Should i concentrate Osaka , Nara , Kyoto only ? This is my first time to japan. I feel wasted if not visit Tokyo but by buying 7 days JR pass , i not sure worth it or not. Can i buy JR pass separately ( buy JR west pass for 4 days then buy JR pass just from Kyoto to Tokyo , in Tokyo i just use subway?) Will it more cost saving? First week of December is the tail end of autumn and beginning of winter in Kyoto. Depending on the progression of leaves which vary every year, you can probably see small patches of autumn trees during the first few days of December. The trees will most probably be not in their peak during the first week of December. I suggest you to pick one location in Kansai as your home base so it will be either Osaka or Kyoto. Pick Osaka if you love shopping and pick Kyoto if you like nature and history. Depending where you stay, Kyoto can be reached from Osaka in 40 minutes to 1 hour time from Osaka. The 7 Day JR pass will only be break even if you use a round trip NEX train between Narita and Tokyo and a round trip Shinkansen ride between Tokyo and Osaka/Kyoto. 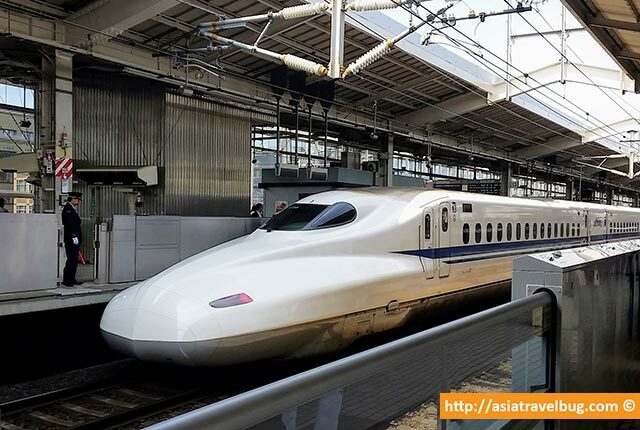 Since you will be arriving in Kansai and will only be using a round trip Shinkansen ride between Tokyo and Osaka/Kyoto, booking single Shinkansen train tickets will come out a little bit cheaper. The JR Pass can only be used in JR lines and not in private railways/metro. In Japan, you will always use a combination of JR train and private subways when getting around. You will use private railways majority of the time in Kansai. Hi, I saw ur blog and it was a very details plan. But I still have lots of uncertainty for the planning. As I will only stay at Tokyo most of the time. I’m planning my 1st ever trip to Tokyo from 29/03/2017 to 04/04/2017 with my wife and my mum to see cheery blossoms . Below are some questions which hope you can help me. 1) I’m not sure of which airport to choose as I don’t wish to waste too much of travelling time and also changing of train line as it will be tedious for an elderly. 2) I also heard of the hotel ( Hotel Sunroute Plaza) you had mentioned and wish to get that hotel but will I be able to get a room for 3 adults during this periods? Cause it our 1st time travel there so I don’t wish to spend lots of time as what you save the others for the next trip. So how should i plan those places of interest? That’s a great time to see the cherry blossoms. I was in Japan during the same period you mentioned and was able to see the cherry blossoms in full bloom on 2 separate trips. 1) I’ve always landed in Haneda which is just 30 minutes away from Ginza and about an hour away from Shinjuku. Given the small price difference, I strongly suggest to go for Haneda instead of Narita to save time and money and for more convenience. 2) I know Hotel Sunroute Shinjuku offers rooms for 3 adults but these room types are limited. It’s best to contact the hotel directly. 3) It’s cherry blossom season and you should not be missing out Shijuku Gyoen park. I suggest that you take a short taxi from Sunroute to get there since you will be traveling with your mom. And you’re three in your travel group so taking a taxi won’t be too much expensive for short rides. 4) Since this is cherry blossom season, I suggest you to prioritize parks over other tourist areas. Ueno Park and Imperial Palace East Gardens provide good cherry blossom viewing. These parks can take up half of your day each during spring season. In terms of viewing deck, Tokyo Skytree seems to be better, higher and much well located. After Skytree, you can go to the nearby Asakusa. Meiji Jingu Shrine is located in Shibuya and its best to pair this with an activity in Shinjuku. 5) For convenience to go to see Mount Fuji, I suggest you to join day tours so your mother will not need to do too much walking. Check the weather forecast before you book. One Day Bus Tour from Tokyo. Yes, there’s always a next time for Japan. Don’t rush too much. The main target to see are the parks. Buy bento boxes, buy blue picnic sheets and enjoy your lunch under cherry blossom trees! Hi, may I know your Day 2 and Day 3 are using same Hakone Free Pass which cost JPY 5,140? I purchased the 2-Day Hakone Free Pass and the price you mentioned is correct. Also, I purchased an add-on bus fare from Shinjuku to Gotemba Bus Interchange in order to get to Heiwa Park and Gotemba Premium Outlets. This add-on bus fare is a little less than JPY 1000 which I purchased at the same time as the Hakone Free Pass. There are free regular shuttle buses between Gotemba Bus Interchange and Gotemba Premium Outlets. From Tokyo, can you recommend the cheapest and convenient mode of transportation going to OSAKA? We’re planning to visit Japan next year and we’ll be having 4 nights stay in tokyo and another 4 nights in osaka. That will be our 1st time visiting Japan. Hope to hear from you. The most efficient way from Tokyo to Osaka is via Shinkansen bullet train. For a more economical ride, try the Willer bus. Hi there! The view of Mount Fuji from the aeroplane, which route is that from? To be able to see Fuji from top is awesome! The route is to and from Haneda Airport. If you’re coming from south (i.e. South East Asia), you should seat on the left side of the plane. On your departure, seat on the right side. Hope this helps! I hope you get to see Mount Fuji. Your blog is very informative and will make our Japan travels easier- thanks very much! We will follow your suggestions- rent a pocket WiFi, register with Travels & Locals Japan and purchase a reloadable transport card. However, my wife has celiac disease (gluten allergy) and so we need to buy gluten-free food. We found a restaurant online named Littlebird Cafe in Uehara, Shibuya-ku.We will go there to buy food and snacks to bring while we are exploring Tokyo. Any suggestions for itineraries and less expensive hotels in this area will be greatly appreciated. Thanks for your kind words. Appreciate it! There are loads of things to do in Tokyo and it can easily fill up your 6 days vacation. You can also do day trips from Tokyo to see Hakone, Mount Fuji or Nikko. I checked the location of Littlebird Cafe Uehara in Google Maps and it looks like it’s located in a residential neighborhood at the back of Yoyogi Park. Since the area is not that commercial, I’m afraid to tell that there are no hotels within the immediate vicinity of Yoyogi-Hachiman Station which is the station near the restaurant. However, this station is just a one-stop 8 minute ride from Shinjuku Station via Odakyu line. With this, I suggest you to stay in Hotel Sunroute Plaza Shinjuku. If your hotel has an Airport Limousine bus stop like Hotel Sunroute Plaza Shinjuku, taking the Airport Limousine Bus will be more comfortable as you won’t need to figure out the right exit from huge Shinjuku Station with your luggages in tow. However, you have to check the timetable of Airport Limousine Bus as it only operates during specific times of the day. Alternatively, you can take the NEX train from Narita to Shinjuku Station. To go to Haneda Airport from Shinjuku Station, the Airport Limousine Bus is highly recommended since there is no direct train to Haneda Airport from Shinjuku. Hope this helps and I wish you and your wife a pleasant trip to Tokyo this July! We did indeed book a room for our stay at the Hotel Sunroute Plaza Shinjuku as per your suggestion, we will be taking the Airport Limousine Bus both directions as well. I have seen two options for Pocket WiFi on Pupuru’s website, 10GB for 400JPY/day and unlimited for 800JPY/day. As I will be using my outdated iPhone 4 mostly for Google maps and the occasional email, I’m thinking just to get the 10GB version. What is your opinion of this option? Here is our idea of an itinerary, what do you think? Day 1: Arrival, take the Airport Limousine Bus to our hotel and explore the immediate area. Travel to Littlebird for dinner and to purchase food/snacks for the remainder of our trip. Day 6: Check out from hotel, Airport Limousine Bus to Haneda and departure until next time. Happy to hear that you were able to get a room at Hotel Sunroute Plaza Shinjuku. If you’re going to use Pupuru pocket wifi as a secondary wifi connection, the 10 GB version should be fine for use of 2 people in a week’s time. I think you’ve got a well-organized itinerary with nearby places grouped together. After you book your Pupuru pocket wifi, I can see that you’re all set and good to go! I wish you a happy trip! I’m sure you’ll have a blast in Tokyo. Is it possible to take one day trip to kyoto from tokyo? And how about the JP pass is it worthit to buy? We will arrive at narita airport and our hotel is in tokyo station and we are planning to go to mt fuji. Technically, it is possible to do a long day trip from Tokyo to Kyoto since the bullet train journey is just 2-3 hours. However, it is hard to justify the cost of the round trip bullet train ride between Tokyo and Kyoto which costs about USD 260 for a day trip. I suggest at least 2 – 3 days stay in Kyoto if you really want to appreciate Kyoto’s beauty and make most out of your bullet train fare. Alternatively, you can skip Kyoto this time and save it for your next trip to Japan so you can enjoy more time in Tokyo. The JR pass will pay off if you use it on a round trip bullet train ride between Kyoto/Osaka and Tokyo and if use it for a round trip NEX train ride between Narita and Tokyo within 7 days. So in your case, it will pay off for a little bit (about USD 20) but not really big savings. Do take note that there are no JR trains in Kyoto and you have to take either bus or subways not covered by JR pass to get around. Will the Hakone Free Pass cover the travel to Shinjuku station or do we have to pay for another transpo fee from Odawara station going back to shinjuku? Yes, the Hakone Free Pass covers commuter train transportation between Odawara and Shinjuku stations. Your point of departure of your Hakone Free Pass ticket should be from Shinjuku Station though. If you would like to have a more comfortable seat, you can upgrade for a small fee to take advantage of the Romance Car when you purchase your Hakone Free Pass. Hi Tiffy, this is a very great article and it helps me a lot in deciding which area should I stay in Tokyo. But I still have some things bothering in my mind and it will be delightful if you could help me decide..
first of all, here’s my situation, I will be traveling to Japan arriving in Narita, Tokyo and then I plan to go to Kyoto and Osaka and will depart home from Kansai, Osaka. 1) Do you think I need to buy JR Pass for that? 2) Can I buy Suica/Pasmo card at the Narita airport? 3) Can I use Suica/Pasmo card in other cities as well? You’re very welcome and I’m happy to have helped. Please find my answers to your questions below. 1) There is no need to buy a JR Pass since you’ll only be needing a one way bullet train from Tokyo to Osaka/Kyoto. You will only get the value of the 7-Day JR Pass if you’ll be using it for a round trip bullet train ride between Tokyo and Osaka/Kyoto plus airport train transfer between Tokyo and Narita Airport. 2) Yes, the Suica card is available for purchase at the JR East Ticket Service Center at Narita Airport. 3) Yes, you can use the Suica card in other cities (i.e. Osaka and Kyoto) aside from Tokyo. I just came back from Osaka and used my Suica card for subways, JR trains and buses and it worked without a hitch! I suggest you to purchase Suica card instead of Pasmo since it is more universal. Hope this helps. Have a safe trip! Hi Dulce! You’re very much welcome. Gora is located in a more central location and is much closer to Hakone Open Air Museum. Also, if outlet shopping is your thing, you can take a direct bus from Gora Station to Gotemba Premium Outlets. The view of Mount Fuji from Gotemba Premium Outlets is very nice on a cloudless day. I hope this helps. Have a fun trip! Is this doable? Can I add some more to day 3? I’d really appreciate your thoughts. Another question for you: you took the bus to Gotemba but took the train going back. Is there any particular reason for this? Advantage / disadvantage of bus vs train for that route? Thanks for sharing your itinerary. It looks doable to me for your family with teens. For Odaiba though, it looks more fitting to be included in your Day 2 itinerary as you explore the eastern part of Tokyo. The places you’ll visit for Day 3 are located in the western part of the city so Odaiba will be out of the way. Apart from the Gundam Statue, Odaiba provides great view of rainbow bridge at night. For Day 4 you can include Hakone like what I did. However, it’s going to be a long day. I recommend the Hakone Free Pass for convenience. Gotemba and Hakone are two different areas but are adjacent to each other. The Hakone Free Pass allows you to go to Gotemba for a minimal add-on fee via bus, hence I took the bus on this leg. The bus requires advance seat reservation. On the return trip, I exited from Hakone (not Gotemba) and took the commuter train back to Shinjuku from Odawara Station which doesn’t need advance seat reservation. I hope this helps. I’m sure your family will have a blast! Thank you so much for your input, Tiffy! More power to your blog! thank you so much for blogging your trip and answering every question that your reader asked. i read every single one and really appreciate your effort and dedication. My husband and I are going to Tokyo for 7 days. We will stay in Tokyo and explore Tokyo alone and wont go to other part of Japan. Do you recommend us to get the JR pass online prior to our travel or buy the Suica card from JR train stations in Japan? Since you’ll be in Tokyo only, there is no need to purchase the 7-Day JR Pass which can set you back for close of USD 250+ per person. Just reinvest this money for better located hotels. 🙂 The JR Pass will only be worth the money for fast paced regional travel in Japan, utilizing regional JR trains. I spent only ~USD 55 for a week in Tokyo using JR and other subway lines before, excluding airport transfers and Hakone Free Pass. Therefore, I suggest you to just purchase the Suica card instead. Hope this helps! Have a safe trip. 1. What do you think of the itinerary? Do you think the route is efficient enough and the destinations family friendly with some rest in between (maybe in the coaster)? Should we instead go to tokyo Tower and Jodo shu Temple? 2. Are there lots of stops if we take the airport limousine bus from narita airport to hotel? deciding whether to rent private coach or take the airport limousine bus. We will be arriving in 2 batches. 3. How do you usually book your hotel accommodations in Tokyo especially if I would need 5 rooms with special inquiries since we have many children? Need to make the bed is big enough to fit an adult and a child. Options are Hotel Blossoms, Hotel Sunroute and Keio (in order). We will skip Disneysea/Disneyland already. 4. Do you have recommended family friendly restaurants in tokyo and hakone? 5. Which ryokan do you recommend in hakone that’s family friendly with an option to reserve the onsen for private use? 6. You think it’s feasible to travel from Hakone to narita airport? or it’s too much? Better to go back to shinjuku for a night before heading to narita airport the following day? Thanks for your kind words and I’m excited for your family’s vacation in Tokyo! Please find my answers below. 1. I think your itinerary looks good with just enough activities but not too fast paced. If you have spare time on your fifth day, you might want to go to Odaiba instead of Tokyo Tower or Zozoji Temple. The kids may want to see the Gundam Statue and other interesting museums in Odaiba. However, Odaiba is a bit far from Shinjuku so I recommend it only if you have spare time of at least half day. 2. The airport limousine bus typically stops in nearby hotels in ONE specific district (i.e. Shinjuku, Shibuya, Ginza, etc.). The stops are pretty quick to drop off and pick up passengers so it should not be a big concern if you decide to take the airport limousine bus. 3. Different hotels have different child policies so it is best to email or call the hotels directly if you have special inquiries. Based on my experience, hotels in Japan are very prompt in responding to emails. 4. Regarding restaurants, I recommend Hamakatsu in Shinjuku. It’s a tonkatsu place but I’m not sure if they serve kiddie meals though. 5. Most of the ryokans in Hakone are geared towards couples. For families, I recommend Tenseien (mid range) or Setsugetsuka (upper mid range). These are Japanese Style hotels though and not traditional ryokan. Both hotels offer colorful Yukatas and onsens for private use. 6. I think it is better to stay in Shinjuku on your last night to break the transit time and to buy last minute souvenirs. I hope my answers help you decide. I’m sure your group will have a lot of fun in Tokyo! I love your Travel Blog! I will share this to my friends who are planning to go to Tokyo. Hi Ms Tiffy, Me, my husband, and our 18yr old and 16 yr old sons are planning to visit tokyo on march 27-april 3. Would it be cheaper if we book our daytours there than book it here in the Philippines? It is going to be our first time and we used to have packaged trips before and we would like to experiment if we can do this japan tour by just booking our plane fares and hotels except the tours. I find your blog so helpful and kinda gave me a confidence to go w/o travel agency booking. Thanks Ms Tiffy! It’s great to hear that your family will be back to Japan for another vacation! Most of the travel agencies in Manila specialize in group tours to Japan instead of day tours. After a quick google search of Tokyo day tours offered by Manila travel agencies, I can say that it will be more wiser and cheaper to book day tours online via Viator.com. I’ve personally used Viator for day trips in the US and Canada before and had great experiences. I’m actually planning to use Viator for a day trip out of Tokyo when I return to Japan for a short vacation this year. I hope this helps. Me and my friends are going to Japan this April. We are planning to start in Osaka and end in Tokyo. Any suggestions that you can share, planning to stay about 2-3 nights in Osaka and Tokyo but still wondering where to go and what to visit between the 2 cities. Since you’ll be starting in Osaka, I strongly suggest you to go to Kyoto which is just around 30 minutes away. April is a great time to be in Japan and if you’ll be there during the first week of April, you’ll be able to see beautiful cherry blossoms. You have to book your accommodation now if you have not done so, otherwise you might run out of rooms to stay. I’ve personally been to Hakone as a day trip from Tokyo. I enjoyed it but it felt a bit rushed since we combined our Hakone trip with Gotemba Premium Outlets. If I will do it again, I will stay in Hakone for at least one night and enjoy a stay in a ryokan (traditional Japanese inn). I’ve personally used Travelers and Locals Japan and they are safe based on my personal experience. I hope this helps and happy travel planning! This is my 1st time reading blogs about travelling and i’m surprise that your blog is very helpful and interesting. I am visiting japan for the 1st time and i have no idea what to do or what to expect there. i have about 2 weeks from 9 April 16 to 23 April 16 (free & easy kind), i am planning to visit Toyko, Osaka and Kyoto. Hope you can guide me through it about hotels, places of interest and how to move with trains on a budget. Happy to hear that you’ll be in Japan for two weeks for your vacation! I suggest you to have 1 week in Tokyo and 1 week in Osaka-Kyoto. For places of interest in Osaka and Kyoto, please feel free to check out my Kyoto and Osaka travel blog. 1) Tokyo – Kindly check out Where to Stay in Tokyo blog. Regardless of the hotel you choose, I strongly recommend 1st time travelers to stay within walking distance to the JR Yamanote line loop. 2) Osaka – I stayed at Swissotel Nankai Namba Osaka Hotel before and I recommend it for it’s central location. It’s just on top of Namba station and very near Dotonbori. For a more affordable alternative, try Namba Oriental Hotel. 3) Kyoto – I stayed at Hotel Monterey Kyoto before but I would suggest readers to stay in a more livelier area like the area of Royal Park Hotel Kyoto. For regional transportation, it’s faster to take shinkansen between Tokyo and Osaka/Kyoto. For a budget option, you can try taking Willer overnight bus which departs from Tokyo Station. Thank you so much for sharing your Tokyo experience. You really are heaven sent! My friends and I are planning our first Tokyo trip which is scheduled on 20-27 February. We were considering joining a tour because we’re worried that we might have a hard time if we go free and easy. But after coming across your blog, it gave us confident that yes, we can do this! I would like to ask about this hotel that we booked thru booking.com – Hotel Monterey Hanzomon at Chiyoda,Tokyo. This is one of the more affordable hotels with triple sharing rooms and the reviews are good. May I ask if you have heard about this hotel? Again, super thank for your sharings! We are now so looking forward to this trip. You’re very much welcome and I’m happy to have helped! I’ve heard of Hotel Monterey chain and have actually stayed in one of their hotels in Kyoto. They’re a good budget to mid-range hotel chain and their rooms are quite clean based on my personal experience staying in their Kyoto hotel. They provide great value for the price you pay if you’re on a budget. I’ve not been to Hanzomon area but based on what I see in Google Maps, the area is in the non-touristy side of Imperial Palace. The other opposite side of Imperial Palace to the east is where you can find Tokyo Station and Ginza where much of the “action” happens. Imperial Palace by itself is massive. However, the good news is that Hanzomon Station is just a few minutes walk from Hotel Monterey Hanzomon. From Hanzomon Station, you’ll be able to reach major sites in central Tokyo within 30 minute radius in 1 to 2 train transfers. If you are able to manage your expectations and are prepared to make a couple of train transfers, you should be fine staying at Hotel Monterey Hanzomon. The train stations and subway systems in Tokyo are highly sophisticated and can be a bit overwhelming to first time travelers. I do suggest that you book a pocket wifi in advance so you’ll have constant wifi access and have real-time train schedules while on the go. You can check out why you need a pocket wifi in my Pupuru pocket wifi review blog. I hope this helps Chinky. Wishing you and your friends a great Tokyo trip! 3. How do you we get back to Narita aiport from Hakone? Sorry for the delay in my reply but I hope my response will still be helpful as you do your trip planning in Hakone. 1. Ryokan in Hakone – I’m also planning to have 1-2 nights stay in Hakone next year. Personally, I’m leaning towards staying in Ryokan Setsugetsuka and Ryokan Ichinoyu Honkan. I think Setsugetsuka best fits your case as it offers spacious Japanese style rooms yet with modern convenience, and its located right smack in Gora station which is the central part of Hakone. 2. Restaurants – If you stay in a ryokan, the breakfast and dinner usually comes with the price you pay. For lunch, you can find lots of restaurants in Gora Station or Hakone Yumoto Station. 3. Hakone to Narita Airport – There is no direct train from Hakone to Narita Airport. However, from Hakone Yumoto in Hakone, you can take the Romance Car to Shinjuku, then transfer to a NEX train heading towards Narita Aiport. You can check out more details from HakoneNavi. I hope this helps! I wish your family a fun trip to Japan! My partner and I are traveling to Tokyo March 10-14 and are excited to see the city for the first time. We are looking for a hip hotel in a great location that is gay friendly (around $300/night). Do you have any suggestions for us? I think staying in Shibuya best fits your case. You may want to check out these two hotels in Shibuya with good location. I’m planning a day trip that involves going go the Heiwa Peace Park and Gotemba Premium Outlets. Main intent (apart from shopping) is to see Mount Fuji. – If I were to just view Mt Fuji, would you suggest I got to both places, or going to the outlet would suffice? – where can I see the schedules of the shuttle to Gotemba outlet from the bus interchange? I’m very happy to hear from you! 1. Heiwa Peace Park and Gotemba Premium Outlets provide different view points of Mount Fuji on a clear day. Heiwa Peace Park is elevated so it offers you a full view of Mount Fuji. Gotemba Premium Outlets offer a closer view to Mount Fuji. Both have a great views of Mount Fuji on a clear day and I suggest you to visit both. If you are to combine Gotemba and Hakone loop in one full day, I suggest that you better time yourself because it’s going to be a long day trip from Tokyo. I spent only 30 mins in Gotemba Premium Outlets with primary intention of seeing Mount Fuji from there. 2. Yes, your itinerary looks fine -> from the Gotemba bus interchange, walk to Heiwa Park > return to the bus interchange > ride the shuttle to Gotemba outlet. Alternatively, you can take a very short taxi from Gotemba Bus Interchange to Heiwa Peace Park in case you don’t know the walking direction. 3. I checked my photos and there’s a small sign in Gotemba Bus Interchange showing the regular shuttle schedule to Gotemba Premium Outlets. It’s in Japanese but you will be able to decipher the numbers. It says the shuttle departs Gotemba Bus Interchange to Gotemba Premium Outlets every 20 minutes, from 10:00 AM to 8:00 PM. Thank you for creating such a well written blog on all of Japan! It’s coming in very handy for an upcoming trip 🙂 keep up the good work. Thank you very much Michael! Glad to have helped. Your blog was so helpful, it was fun gathering tips from reading your blog. Me and my parent are about to have a 4day trip in Tokyo. Is Ueno, taito-ku area a nice place to be a base for our tour? Thanks for your kind words. Ueno is within the Yamanote line loop so it should be easy to go to major Tokyo tourist sites even if its not that central. You might need additional commute time if you are going to western parts of the city like Shinjuku or Shibuya or if you’re going to Hakone where the buses/trains start from Shinjuku Station. But with the vast network of trains and railways in Japan, you should be fine staying in Ueno. Depending on the location of your hotel, you might be able to walk to Ueno Park which is massive yet lovely! There are also affordable eateries and shops in Ameyoko Shopping Street just beside Ueno Station. I hope this helps! I wish you and your family a happy trip to Tokyo! I have 7 days in Japan with my partner. Would like to experience ryokan in Hakone, will be staying over for a day in Hakone while visiting mt fuji as well. Any ryokan with private bath in Hakone you would recommend? Was thinking of going straight after flight from narita airport. Or do you still suggest staying in Tokyo for a rest first before heading to Hakone. The deciding factor is actually me wanting to have a night stay in Hakone. Thanks for the comprehensive guide and recommendations. From what I know, getting to Hakone from Narita Airport will require a bit of train transfers. With this, I do suggest that you have a one night first in Tokyo (preferably in Shinjuku) for rest before heading to Hakone. Hakone Free Pass tickets are available for purchase in Shinjuku Station where buses and trains depart for Hakone. I find the vicinity of Gora Station in Hakone to be charming and plan to stay in a hotel/ryokan there the next time I fly to Tokyo. Personally, I’m leaning towards Gora Tensui or Setsugetsuka. Although these aren’t your traditional ryokans, they offer Japanese Style rooms with private bathrooms or open air baths. Finding a reasonably priced traditional ryokan with a private bath can be a bit of challenge in Hakone due to the historical communal bath culture in Japan. However, you can always check out Gora Tensui or Setsugetsuka online and see if they will suit your liking. With these modern ryokans, you get the best of both worlds – a place to experience Japanese culture plus you get the convenience of a usual modern accommodation. I hope this helps and I wish you and your partner a safe & happy trip to Japan! I am from Kuala Lumpur planning a trip to tokyo with my wife and 7 year daughter. I am looking to spend 5 or 6 nights stay in tokyo. Looking to travel by airasia departing on Nov 26 and returning on Dec 1 or 2. The must see is places are Mount Fuji and Disneyland. Could you suggest how to plan our itinerary. Whether to stay all the night at 1 hotel at Shinjuku or 2 night at Disney Hotel/2 nights at Mount Fuji Hotel and 2 night at Shinjuku. In your case, I suggest that you make one hotel in Shinjuku as your base in Tokyo. From there, you can just make day trips to see Mount Fuji and go to Disneyland. Switching between 2-3 hotels for a 1 week stay in Tokyo can be stressful and can eat up your previous travel time. You need to allot at least half day for each switch in hotel. I suggest you to stay in Keio Plaza Hotel Shinjuku which is a Disney Good Neighbour Hotel. They have regular direct shuttles between the hotel and Tokyo Disney. The Disney shuttles are complimentary for their hotel guests but you have to book seats in advance. There are also numerous Mt Fuji group day tours originating from Keio Plaza Hotel Shinjuku. Alternatively, you can do it DIY using Hakone Free Pass which can be purchased from Shinjuku Station West Exit just a few minutes walk away from Keio Plaza Hotel. I hope this helps and I wish your family a great Tokyo trip! AS much as i want to visit mt Fuji up close, i feel that i don’t have anywhere to place it to in my IT. There’s just so much to see in Tokyo alone! I hope to hear from you soon. Thanks so much again and God bless! Thank you for your kind words! Your itinerary is generally good but your day 2 seems to be a bit of a stretch. I suggest you to club together nearby areas in your itinerary like below. I super agree with you that there’s so much to do in Tokyo alone. Save Mt. Fuji for your next trip. At least you’ll have a very good reason to return to Tokyo! I hope this helps and I wish you happy travel planning! Hi, thank you for your blog, it is very helpful. However i want to ask about your day-3 trip. Is it possible to do all the activity in one day? What transport you used from Shinjuku to Gotemba and how long it takes? How about transport from Gotemba to Gora? I topped up my Hakone Free Pass with a one way bus ride from Shinjuku Station to Gotemba Bus Interchange. The additional cost is more or less 1000 yen if I remember it correctly. It will take 2.5 hours bus ride to reach Gotemba Bus Interchange from Shinjuku Station. You can get more info here. Heiwa Peace Park is about 15 to 20 minutes good walk from Gotemba Bus Interchange. From Gotemba Bus Interchange, you can catch the free shuttle going to Gotemba Premium Outlet. I rode the Kanko Shisetsu Meguri bus from Gotemba Premium Outlet to Gora Station. There is no need to pay additional for this bus ride if you have the Hakone Free Pass. I checked my Gotemba Premium Outlet pictures and the Kanko Shisetsu Meguri bus is located in bus bay #3 of the outlet and the buses depart almost every hour to Gora Station from 11:00 am to 7:00 pm. You can take bus S or M. This map might be able to help you. I went there in 2014 and I’m not sure if the bus frequency has changed though. I suggest you to revalidate the bus frequency when you buy your Hakone Free Pass from Odakyu Sightseeing Service Center at Shinjuku Station West Exit. The Odakyu staffs are very helpful. I remember I was able to request for printed bus timetables when I purchased the Hakone Free Pass. Also, I strongly suggest that you get a pocket wifi so that you’ll be able to access Google maps while on the go and avoid getting lost in your DIY trip. I got mine from Pupuru pocket wifi and I highly recommend them. Please feel free to check out my Pupuru pocket wifi review. Have a safe trip and I wish that you’ll be able to see Mount Fuji! thank you so much for putting up a very comprehensive travel blog- clearly written and very helpful guide. would like to know the difference between subway and train in tokyo? where can we use the suica card and where do we reload? In Philippine context, the JR train is equivalent to PNR train while the subways are similar to MRT line (although our rail lines here are elevated monorails rather than underground). You can use Suica card interchangeably between JR and subways in Tokyo. The Suica card is available to purchase in major JR stations (Shinjuku, Tokyo) or at the airport. You can find more details here. Firstly, would like to say i really like how you plan your itinerary in japan. I would like to ask what are the places that i can plan an itinerary of 7 days for family of 4, where they can learn more about the culture lifestyle differences in japan and at the same time shopping,entertainment etc. If you plan to see more of cultural differences in Tokyo, I suggest that these be included in your itinerary. 1) Asakusa – Here, you can see Japanese human-powered rickshaws and Sensoji temple. Asakusa is like a little slice of Kyoto in the heart to Tokyo. There is a pedestrian shopping street going towards Sensoji temple where you can buy souvenirs. 2) Akihabara – This is the bizarre side of Tokyo where there’s concentration of maid cafes. There are also a lot of anime/otaku and electronic shops around. Drop by Don Quijote, the big bargain store, for cheap shopping. I recommend Akihabara for adults. 3) Shibuya / Harajuku – Check out Meiji Jingu shrine and do some shopping afterwards in Shibuya or Harajuku areas. Majority of the stores in Shibuya area can be found in any other city though. The best way to discover the culture of Japan is depth is by touring with a local. I suggest Travelers and Locals Japan. They might be able to match with you with a local who may be willing to tour you around in exchange for a chance to practice their English. Plan to stay in ryokan. Do you advice to stay at mt Fuji area for 2 nites? In my past trip to Tokyo, I did a day trip to Hakone and Gotemba. Although I enjoyed it very much and saw Mount Fuji, I felt that my day trip was a bit rushed. If I would redo my trip again and if I have time, I would definitely stay in a Ryokan in Hakone for 1-2 nights especially if the weather is good before heading back to Tokyo. The Hakone Free Pass is good for 2-3 days anyway depending on the plan you choose. I hope my suggestion helps. Have a happy trip! This is literally the best info I found to help plan my trip. Everything is well written out and amps me up for my first visit to Japan. Thanks for writing! Thanks Moses for your kind words! Happy to have helped! 1. Is suica allowed in Toei subway and tokyo metro? 2. for you, which one is more efficient to use and saving money, suica or ichini josha-ken? 3. and can you please tell me where to purchase this cards? 1. Suica is a reloadable, universal mass transit transport card in Tokyo. Yes, it can be used for Tokyo Toei subway, Tokyo Metro and JR lines. You can even use it to purchase stuffs from convenience stores like Family Mart. 2. In Tokyo, you have to transfer between various train lines operated by different train companies (i.e. JR, Tokyo Metro, Toei subway) to get from point A to point B. Purchasing an Ichini Josha-ken card will restrict you to either Tokyo Metro or Toei subway. I suggest you to purchase Suica card since it is more convenient and you just pay what you use. 3. You can purchase Suica card from JR train stations. My husband and I are going to Japan next month to celebrate our first wedding anniversary. We have covered almost everything from plane ticket, hotel accommodation to renting a Pupuru pocket wifi. However, we are having a hard time time figuring out Japan’s mode of transportation. We don’t know which card (JR pass, Suica or other cards) is more fitting for our 8 days stay in Japan (fly in Osaka and fly out Tokyo). We will be arriving in Kansai Airport and we will be staying in Osaka for three days and we will travel to Tokyo and stay there for five days. We will leave Japan via Narita Airport. Before we stumbled upon your blog, we have already contacted one of the agencies here in the Philippines that sell JR Pass, according to the staff that I have talked to it is not practical for us to avail JR Pass given our itinerary. I didn’t understand why but I’m still thankful that he was honest to us. I hope you can give us a tip and suggestion what we should avail and where and how much we can avail them. As well, please let me know if we should take the Shinkansen Bullet Train going to Tokyo from Osaka or is there an alternative cheaper way going to Tokyo. Your travel agency is correct that a 7 day JR pass will not be worth it in your case. To keep it simple, you will only get the return of your money if you take a round trip Shinkansen ride between Tokyo and Kyoto / Osaka and take a NEX airport transfer. Just take a one way shinkansen bullet train ride from Osaka to Tokyo. It will cost approximately ~14,000 yen one way. You can purchase the ticket from JR train ticket stations. I suggest these transportation cards to make your trip more convenient. Icoca and Suica cards can be refunded within the region of purchase with a minimal service fee. You pay what you use. These cards can be purchased in any JR ticket station. 1. Icoca – this is a prepaid reloadable card which you can use in JR trains, metro subways and buses in Kansai region (Osaka, Kyoto). This can also be used in JR trains in Tokyo. You can purchase Icoca in any JR station in Kansai region. There’s a JR ticket station right next to Kansai Airport. 2. Suica – this functions similarly to Icoca card but in Tokyo and enables you to ride JR trains, metro subways, monorails, etc. in Tokyo conveniently. From my understanding, this card can also be used in Kansai region. However, the Suica card can only be purchased in JR stations when you are in Greater Tokyo area. 3. NEX – this is the airport train from Tokyo to Narita. To put it in local context in the Philippines, JR trains are equivalent to PNR trains (our PNR trains are actually second hand JR trains from Japan). While the monorails and metro subways are similar to LRT and MRT lines. I hope this helps and I wish you and your husband a great Japan trip! I’m sure you will be back. Firstly, I want to say that your wealth of information on your blog is greatly appreciated especially for someone like me and my wife who is planning to visit Japan by ourselves for the first time. I have a question regarding the Suica card which is a prepard reloadable card and you use what you paid for. If you load your card with US$200 and at the end of your trip, there is a balance of US$50, can you get your refund back from the region of purchase or do you totally forfeit that amount? We’re planning to fly into Narita and will have 2 big luggages that we’re planning to leave behind at the airport and pack a hand luggage during our stay in Tokyo. I understand that the airport has luggage storage spaces for rental that are small, medium and large. Which of these sizes are suitable for luggage size of about 30in. and where is the luggage rental place located at Narita? I’m so sorry I won’t be able to tell the dimension of the large coin lockers located at Narita Airport as I haven’t tried it myself. I tried to look for answers but it seems that there is very limited information online about the airport locker dimension. To be sure, you may wish to contact Narita Airport using this link. If you are able to find the answer, I will appreciate if you can share it here to help other readers who may be looking for similar information. I hope above information helps and I wish you a happy first trip to Japan! I’m sure you will be back. 1. which transport card is cheaper and convenient (for a first-timer visitor like me), is it suica/pasmo or ichinichi joshaken? 2. can you please tell me how can i get to odaiba from shinjuku st.? is my itinerary correct? i still miss places like ginza, on what date should i go. 1) Since you will have a round trip train ride between Tokyo and Kansai region, you might want to explore purchasing a 7 day JR pass. You can use Suica card to navigate Tokyo for the remaining days. Suica is a prepaid reloadable card which you can use interchangeably in Tokyo subways and JR trains. You can even use Suica in convenience stores. 3) Your itinerary actually looks doable. For 19th, you may want to explore Shinjuku area and Tokyo Metropolitan Government Building instead of Shibuya. You will be going to Shibuya on the 20th anyways. Ginza is 5-10 minutes walk from Tsukiji Fish Market so you can squeeze it before you head to Asakusa. Alternatively, you can squeeze in Ginza right after Imperial Palace since these two areas are near to each other. For 28th, you can combine Gotemba and Hakone Free Pass. I suggest you to monitor the weather and cloud factor in Shizuoka to identify the best day to see Mount Fuji. The weather forecast starts to get much accurate 2 days before. I hope above information helps! Would like to check with you, how did you book the day trip to Mount Fuji? I checked some of the websites but the cost is high. Any recommdations on how to go about the booking? We purchased Hakone Free Pass from Shinjuku Station West Exit. The two day pass costs JPY 5,140 which is a great value for money comparing to Mount Fuji group bus tours. Since we decided to go to Gotemba first before heading to Hakone, we topped up the Hakone Free Pass by about JPY 1,000 so we can ride the highway bus straight to Gotemba bus interchange. There are buses from Gotemba bus interchange connecting to Gotemba Premium Outlets and Hakone. Im a 21 year old Male, Considering visiting Tokyo after reading you Blog on (where to stay in Tokyo for first time ) . I’m totally confused because i will be travelling myself and i thought about staying in SHINJUKI as you recommend it for first time visitors looks like a lovely place to stay. Then you went onto talk about SHIBUYA as it mostly a younger crowed of people. Can you please help me and tell me where you think is the best place to stay? Somewhere easy access to trains, nice restaurants, attractions and mid range hotels ? I will be travelling with my husband, sons 8 and 11 to Tokyo in June. Was trying to book a hotel room big enough to accommodate 4 of us in Shinjuku. After searching online, realized that most of the hotels do not have family room. 🙁 Chance upon your blog that you stayed in Hotel Sunroute Plaza Shinjuku, both beds look big, was it a Twin room? you think 1 bed is big enough for 1 adult & 1 child? The twin rooms in Hotel Sunroute Plaza Shinjuku are spacious and the beds are actually big for Japanese standards based on my experience. I think one bed can fit one adult and one small child but I’m not sure if the hotel will allow two children in the twin room. You may want to check this with hotel directly on their child policy. Here’s the information which the hotel provided when I stayed there last year. You may want to explore their triple rooms for bigger space. From what I know, their triple rooms come with 2 beds plus a sofa bed. Thanks for your posts on your Tokyo itinerary. It makes my planning easier. My family and I will be going to Tokyo soon. I particularly notice that you mentioned “free guide service from Travelers & Locals Japan” in your central Tokyo tour. To quell my curiosity, may I ask if the service is really free? Can anyone avail of its service? Thanks. Regarding Travelers and Locals Japan, yes, using their service is absolutely free without any tips. There is a no tip culture in Japan which we should respect. But of course, we have to exercise basic courtesy like treating you volunteer guide a meal if your meeting crosses over lunch or dinner. Anyone who can speak English fluently can avail their service. The people whom you will be meeting are not professional tour guides, but normal local people who are willing to tour around tourists for a chance to practice their English. If you are interested to learn local Japanese insider tips on where to eat, where to go, where to shop affordably, rather than historical commentaries, Travelers and Locals Japan will be a great experience for you. Since a pre-arrangement has to be made by Travelers and Locals Japan with the volunteer guide, you have to send your request at least 2 weeks to 1 month in advance. I hope I answered your question and I wish you and your family a safe trip to Tokyo! I’ll be travelling to Tokyo from aug3 to 11 with my wife and son 21, daughter 17, and we are practically making your blog our travel bible! Im a planning freak and would like every detailed planned. 🙂 Have already booked a condo unit in Shinjuku that would fit 4 of us and been on google map downloading all the transportation directions. There is one question on my mind though, what is the cheapest mode of transportation from Narita to Shinjuku East? we don’t mind the time travel difference. we will be arriving around noon. Hi Rene! Sorry for the delay in my reply and thank you for your kind words. It’s great to hear from a fellow planning freak like me. The most comfortable way from Narita to Shinjuku is via the Airport Limousine Bus or the NEX train. The cost per way is about 3000+ yen. In my past 2 trips in Tokyo, I’ve always used Airport Limousine Bus (from Haneda) which I can personally vouch to be very convenient and highly reliable with on-the-dot timing. To answer your question on cheapest way to transfer between Narita Airport and Shinjuku, you can try Keisei Limited Express train or Access Narita Bus. It will cost you around 1000 yen per way during day time if you take any of these two cheap options. You need to make some station transfers before you get to Shinjuku. > The Access Narita bus arrives in Tokyo Station. From Tokyo Station, take the JR Chuo line to Shinjuku Station (~200 yen). > The Keisei Limited Express train stops in Nippori Station and Ueno Station in Tokyo. Get off from Nippori station and transfer to JR Yamanote line to Shinjuku Station (~200 yen). To get to your condo, exit from Shinjuku East Exit. Depending on how far your condo is from Shinjuku Station, you can walk or you can take a short cab. I have to warn you that Tokyo Station and Shinjuku Station are two massive stations in Tokyo city center. Imagine Tokyo Station like the size of SM Megamall in Manila. You have to be prepared to do a lot of walking and allot time to find the right train platform. I suggest you to rent a pocket wifi to be able to check the live train schedules in google or hyperdia. You may want to check out my pocket wifi in Japan review blog. I hope this helps! I wish you a fun family adventure in Japan this August! I and my wife will be having our holiday to Japan and this will be the first time. We decided to enjoy Tokyo for 8 days. I am planning to book a place through AirBnB, Shimoochiai, Shinjuku area. Is this a good place for going around Tokyo? Also, the travel will be from May 1st. Do you think we able to see the glimpse of cherry blossom at that time? Hi Oward! Thanks for your message and I apologize for the delay in my reply. I’ve never been to Shimoochiai but I did a quick google maps search. It’s a residential area 15 minutes away from Shinjuku Station requiring a train transfer. If you get substantial savings of 30% or more than the average hotel room in Shinjuku by staying in AirBNB in Shimoochiai, then it could make sense to stay there financial wise. If the savings are just 10-20%, I would personally choose to stay within walking distance to Shinjuku station where all the action (food + transporation + shopping) is right by your door step. I have been to Tokyo last year during first week of April when the cherry blossoms are its peak and during middle of May. Unfortunately, all cherry blossoms, azaleas, tulips were gone in Tokyo during middle of May last year. In your case, you may want to try to check Shinjuku Gyoen Park for the tail end of late blooming variety of cherry blossoms. But chances are slim since the blooms tend to only last for 1-2 weeks from its peak date. My understanding is the the regular varieties in Shinjuku Gyoen have peaked by this time. Alternatively, you can check out these floral blooms during first week of May. Thanks for the useful info! We will be visiting Japan to approx. 6 days (0.5 free days on date of arrival and departure, 5 full days in between) Would you spending all this time in Tokyo or visiting Kyoto as part of our trip? If so, how much time is ideal for each place? Hi TT, thank you for your message and I’m sorry for the delay in my reply. If it will be your first time in Japan and if you will be there for less than a week, I suggest that you spend your time in Tokyo only. 4 full days in Tokyo and 1 full day to see Hakone-Mount Fuji should be ok.
Based on my experience, you need one full week to enjoy Kyoto, Osaka and Nara in Kansai region or probably 1.5 weeks if you will be staying during spring or autumn foliage season. Thank you for sharing such an comprehensive detail of your travels in Japan! I just wanted to ask a quick question of your experience with Tralocal? What was the process in finding a Japanese native to assist you with your travels and was there any surchages or fees involved? Did you find the experience satisfactory? Hi Ying! I’m happy that you found this post helpful. The Japanese volunteers of Tralocal are typical Japanese locals and not professional guides. It’s actually a give and take service. The locals help you with practical Japan travel information and help you navigate in exchange for the opportunity to practice their English with you. If you are expecting the local to know deep history of places, it is possible for you not to get that information. But if you’re happy with practical travel advice, soaking in local culture and meeting new people, Tralocal should be a great experience. I didn’t pay for any guide fee to Tralocal, it’s a free service and no tips. There is a no tipping culture in Japan, unlike similar service in US or Europe where you are expected to give tips to free city tour guides. However, you have to exercise basic courtesy even though this is not expected (ie. paying for the meal of the Japanese local during meal time, transportation of Japanese local if you will be venturing far). To avail Tralocal’s service, just register here ahead of your arrival date. It’s best to request 2 weeks to 1 month ahead. If a Japanese local is available for your travel dates, you will receive a confirmation email. I hope my answer helps and I wish you happy travel planning! Thanks for your kind words Mung! Happy to have helped! That is seriously an awesome itinerary! I’ve only been to Tokyo on a 48 hour stopover and I was left wanting more. When I head back next year I’ll be sure to remember this post that I plan on bookmarking right now. May you share some details about day 3 itinerary? First of all, thank you for sharing!! 1) What is the purpose of Hakone Free Pass that you got from Odakyu Sightseeing Center? How much is the price per person? 2) At what time you took the Gotemba Bus Interchange to Mt fuji and how long it takes? 3) How to get to Heiwa Park? At what station we need to get down from the interchange bus once arrive Heiwa Park? 4) How to get to the Gotemba Premium Outlets? Is it walking distance from Heiwa Park? 5) May you tell more about the way to get to the cable car ride, private ship cruise and Owakudani? Are all these place next to each others? 6) May you tell me the train route to get back to Shinjuku from Odawara? Or is there any 1-way-straight bullet train available to Shinjuku without interchange needed? where did you book online for your pocket wifi? Hindi ba available na dun na lang mismo sa airport bibili? Hi Gary! I rented my pocket wifi from Pupuru which you can book online here. I had mine delivered straight to my hotel. I have used Pupuru twice in separate occasions and I’m satisfied with their service so far – long battery life, easy delivery & return and extensive coverage even in Mount Fuji area. You can have the pocket wifi delivered by Pupuru to the airport with a minimal surcharge. If you are looking to purchase a local sim card for mobile data connection, please be aware that prepaid sim cards in Japan are heavily regulated and it is not easy to get one as a tourist. Renting a pocket wifi is a more practical choice to stay connected in Japan while on the go.